By Karrar Haider in Mobile. Updated on January 5, 2017 . 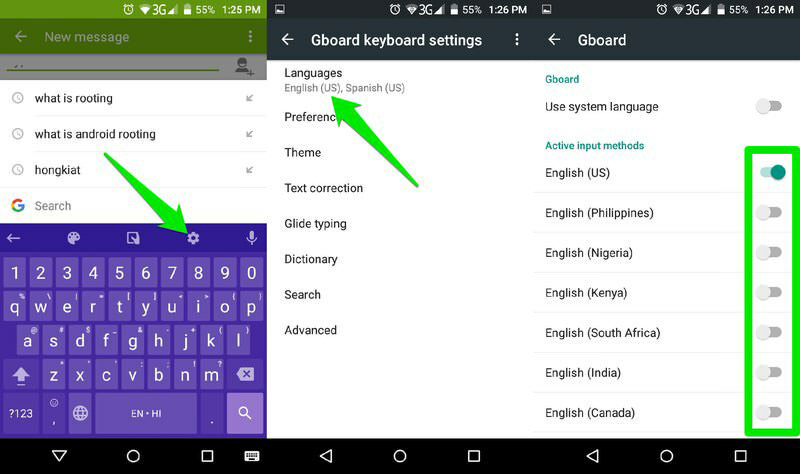 Gboard, Google Keyboard with new name and interesting features, has just recently made its way to Andriod. 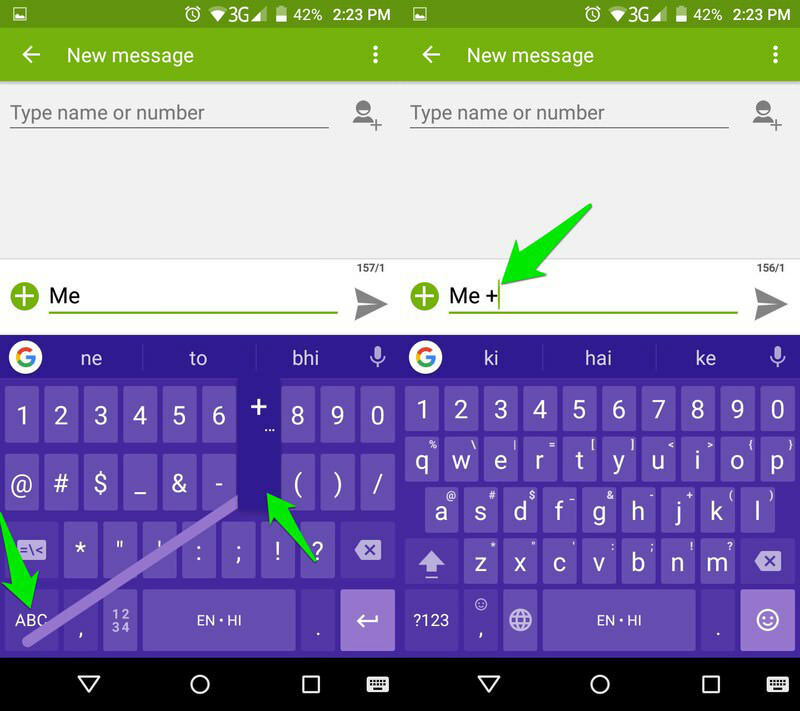 Your Android phone would already be updated with this new default keyboard. 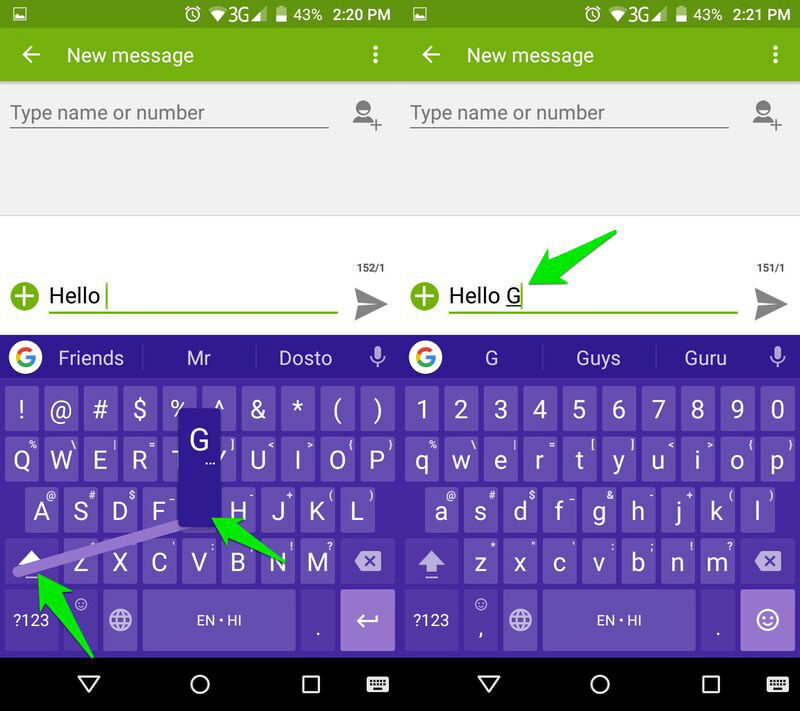 If the old Google Keyboard’s limited features forced you to switch to a third-party Android keyboard, then Gboard might change your mind. Gboard is just as light and fast as the old Google Keyboard, but it comes with unique new features. Below are 10 new Gboard features that you will surely love. The most talked about feature, Gboard now has a built in G button to quickly search your queries on Google Search. 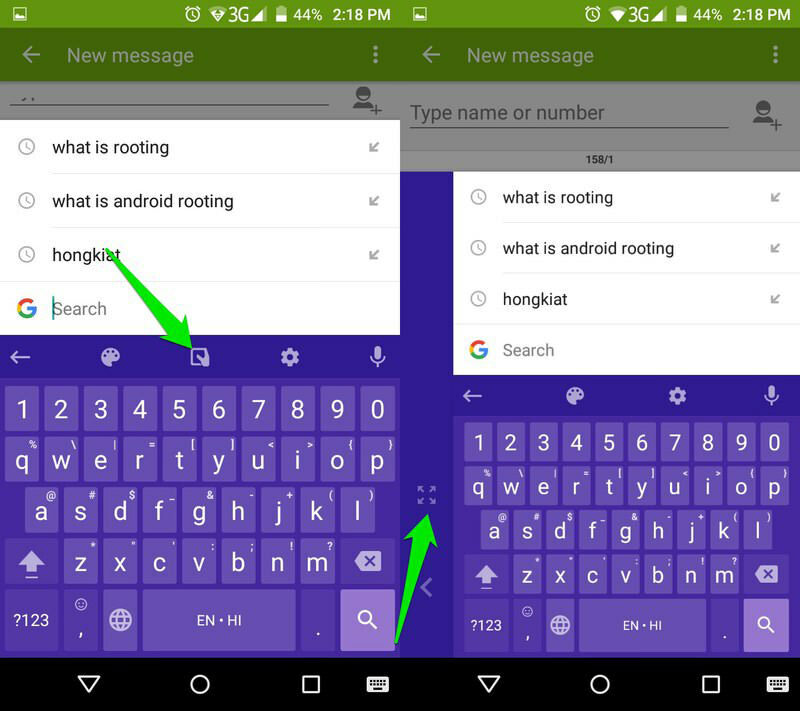 The search option is specially created for Gboard and it’s completely different in functionality. G button is not simply a shortcut to Google Search, meaning no additional apps will be opened when you will search through it. Instead, the search will show answer to your query using Google instant answers. If there is no answer available, then a link to the top result is shown. This search is basically created to help you access important information such as location, news, weather or a recent event and quickly share it with the person you are chatting with. For example, you can search for the location where you want to rendezvous, and share it with your friends. 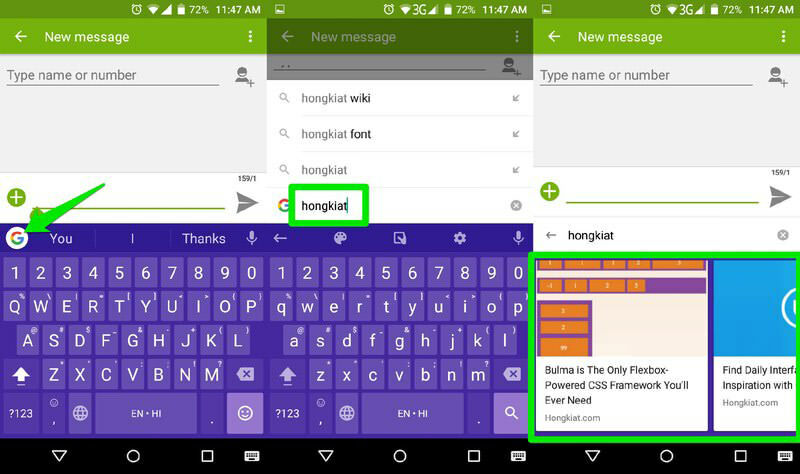 Sharing is also very easy as Gboard offers a special "Share" button that automatically pastes all the important searched content in the text field you are typing in. Tap on the big "G button" on the top left corner of the keyboard and you will see the search field. Type your query and hit enter to see the results. The search suggestions will also show up on top for you to easily choose from. If you get multiple results (like website articles), then tapping on one will enter its link in the text field. If there is a single result, like a location or definition of a word, press the "Share" button below to enter it in the text field. Furthermore, you will also see 3 quick access buttons when you will tap on the "G button". These buttons allows you to quickly change themes, access keyboard settings and switch to "One Hand" mode (more on it later). We all know how difficult it is to place the tiny cursor in the right spot when you need to amend a mistake while typing. Gboard solves this problem by allowing you to control the cursor using the spacebar key. Simply swipe your finger left or right on the spacebar to move the cursor in the respective direction. Unfortunately, you cannot swipe up or down to move the cursor between lines, but you can still use the old method of tapping to quickly place the cursor anywhere you like. Gboard has a new built-in search for emojis and GIFs that you can use to quickly find the right one. Tap on the "Emojis" button at the bottom right corner to access emojis. Here you should see a search bar on top. Tap on it and enter the type of emoji you need. 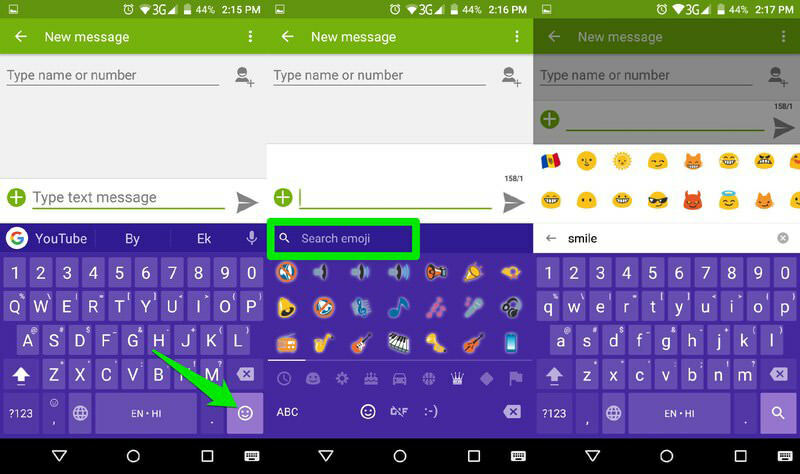 For example, you can type "happy" to see emojis expressing happiness, or type "sad" to see emojis showing sadness. You can use this search bar to enter the emotion you are feeling and see quick results. Same goes for GIFs, but the GIF feature will only work in text fields where GIFs are allowed. You can also use names or contents inside the emoji or GIF to search for it. For example, you can type "water" to see emojis and GIF with water in them. Tap on the "G button" and then tap on the "Gear" icon to access Gboard settings. Here tap on "Languages" and you will see all the supported languages (over 120). This is not a new function, but a rather enhanced one. Swipe typing was always available in Google Keyboard, but with Gboard many improvements have been made. Now the animations are much smoother and their accuracy has also been enhanced. The glide typing feature is also much faster now and can handle your hyper swipe-typing speed. If you are interested in swipe-typing, then give Gboard another try. You will definitely be pleased. 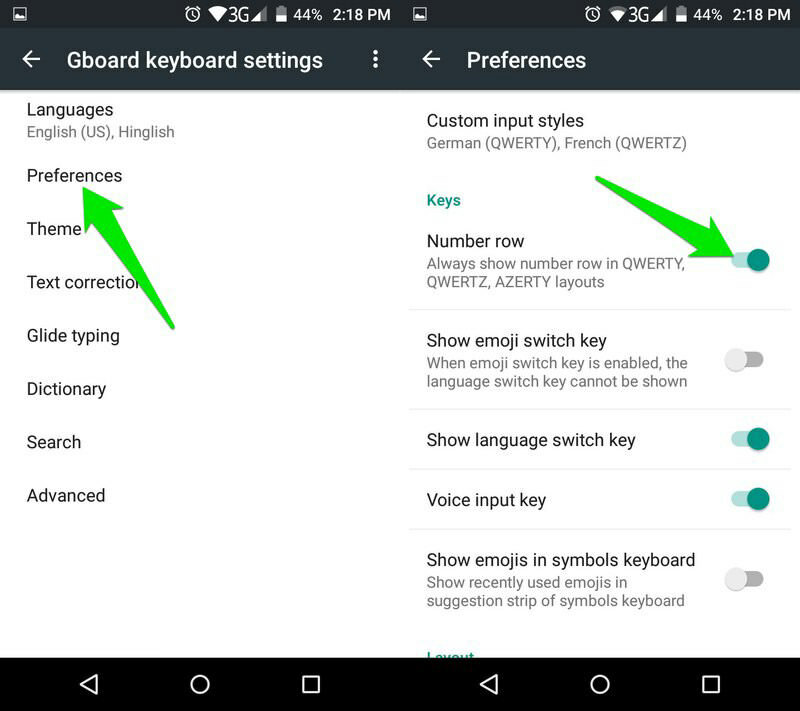 Although this feature is already offered by other keyboard apps, but Google has now finally added it in its stock Android keyboard. You can now add a permanent number row at the top of the keyboard to quickly enter numbers. Go to Settings from the "G button" and tap on "Preferences". Here enable the option "Number Row" and you will see a number row at the top of the keyboard. It can be a big problem to type with one hand on a large display Android phones, such as LG V20. If you have such a device or have smaller hands, then you can use Gboard’s One Hand mode to easily type with one hand. One Hand mode will pin the keyboard at one corner of the screen (left or right) so you could easily type with all keys in reach. One Hand mode will be enabled, and you can tap on the expand button on the side of it to switch back to normal mode. Usually you need to tap the "Shift" key and tap the letter to add a capitalized letter. However, with Gboard you can simply tap on the "Shift" key and swipe to the letter that you want to capitalize and it will typed in its capital form. Similar to capitalization, you can also quickly enter symbols by swiping from "?123" key. Simply tap on the "?123" button and swipe upward. The page will immediately change to the symbols page. Gboard is definitely a great improvement upon the Google Keyboard and it should entice many people to switch back to the default Android keyboard. I have personally moved to Gboard from Swiftkey, simply because it is lighter and the Google Search feature is definitely a keeper. Do let us know in the comments if you’ll be switching back to Gboard or not, and which Gboard features you like.